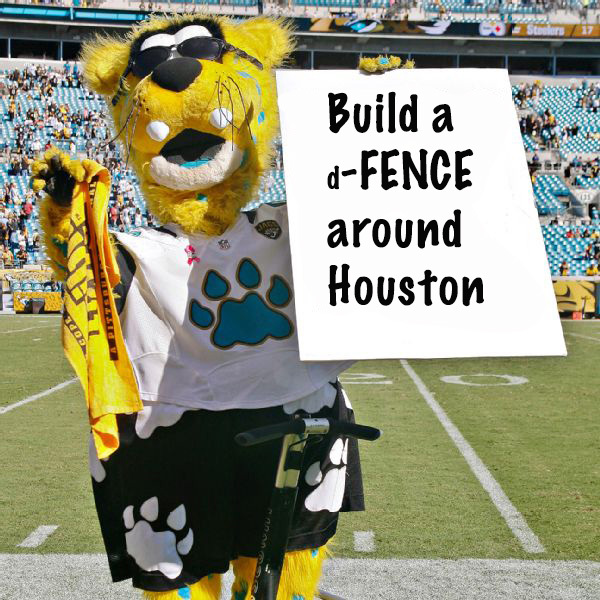 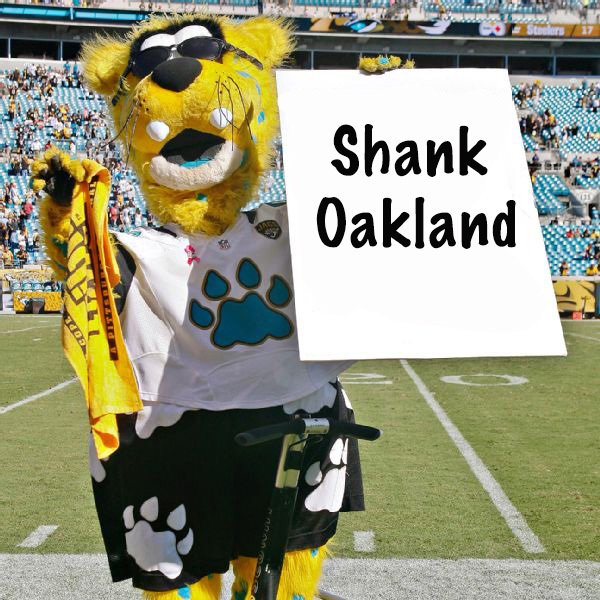 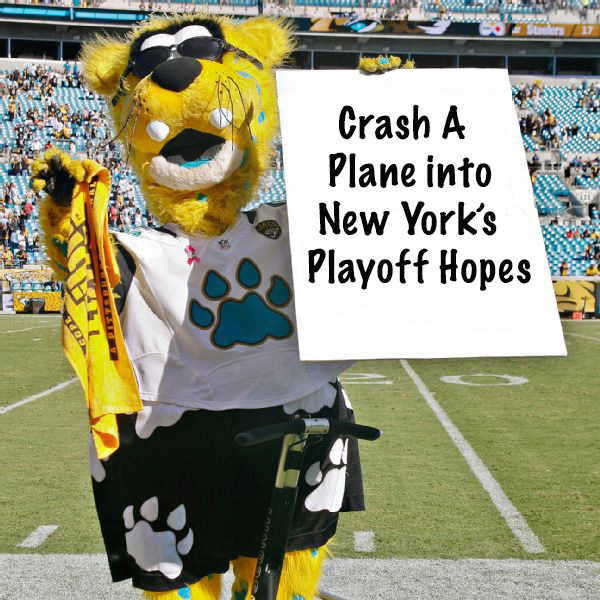 Yesterday, Jax – the mascot of the NFL team The Jacksonville Jaguars – got into some hot water. 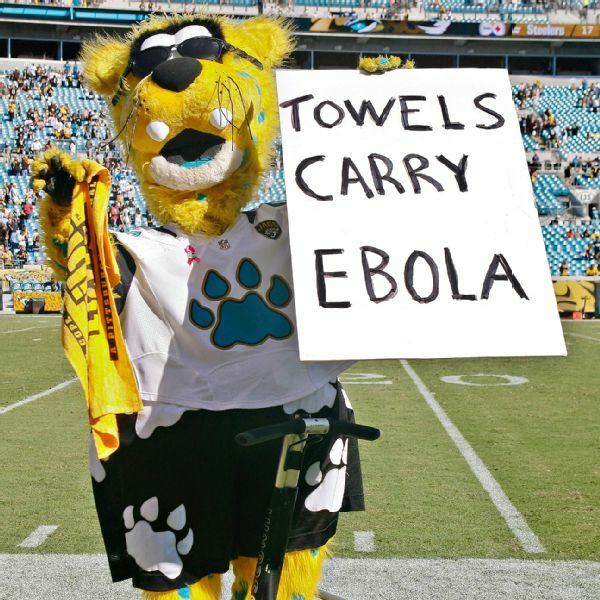 During a home game against The Pittsburgh Steelers, he displayed a sign on local TV mocking the recent U.S. outbreak of Ebola and Steelers’ Terrible Towel. Now, the obvious question here is: “Who cares? It happened in Jacksonville, Florida.” But, it’s been a controversial year for the NFL. Scandal after scandal seems to be cropping up, and unfortunately: it’s no different with Jax – a mascot who is well known for pushing the league’s buttons. In 10 different instances over the years, Jax has shown things on that sign that no one would ever find funny. 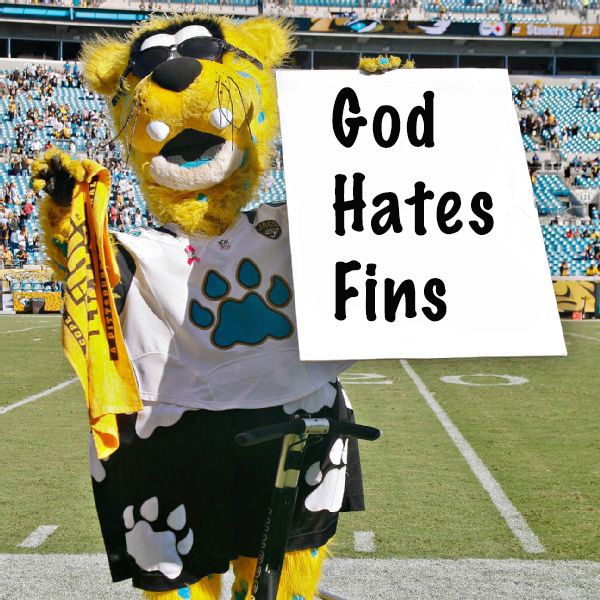 Progressively, Jax has also taken personal liberties with that sign, going beyond football games themselves to express his often “radical” opinions on matters.